It's been amazing not being in school anymore. I've had time to spend on small details of my commissions and have started thinking about a lot of new endeavours regarding Petey and where we should pick up after that horrifying 6 month hiatus. 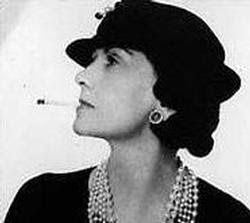 I watched Coco Avant Chanel today to try and get some inspiration, and I'm feeling pretty good about the whole thing. attached that even she was perplexed by the installation of an invisible zipper. First I just was going to message her with a step by step guide to installing one from my own experience, but then I thought - WAIT. I have a blog for this kind of thing. 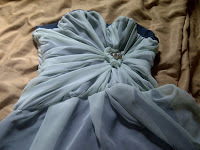 1) from the hem of the fabric up to the zipper notch, stitch. backstitch. 2) open the zipper and match the top closure of the zipper to the top edge of the fabric. the outside edge of the zipper should be level with the edge of the fabric to the notch with the teeth of the zipper facing inward. 3) baste stitch near the edge of the zipper with regular sewing machine foot. sew the entire length of the zipper down to just past the zipper notch where the two fabrics meet. 4) do the same to the other side, making sure to match the tops of the zipper sides. 6) press apart the teeth from the tape of the zipper and lower the zipper foot as close as possible to the teeth. sew down from the top repeating the method of moving the slider with the machine stopped and the needle down. 7) when the machine reaches the bottom of the zipper, simply veer the stitch off of the edge of the fabric leaving a tail. I actually find it more simple than any other sort of zipper in dresses, to be honest. So anyways that's what i thought I'd explain today, so if you're a sewer, you might have found it interesting... if not... well... see ya next time with something less painfully boring.